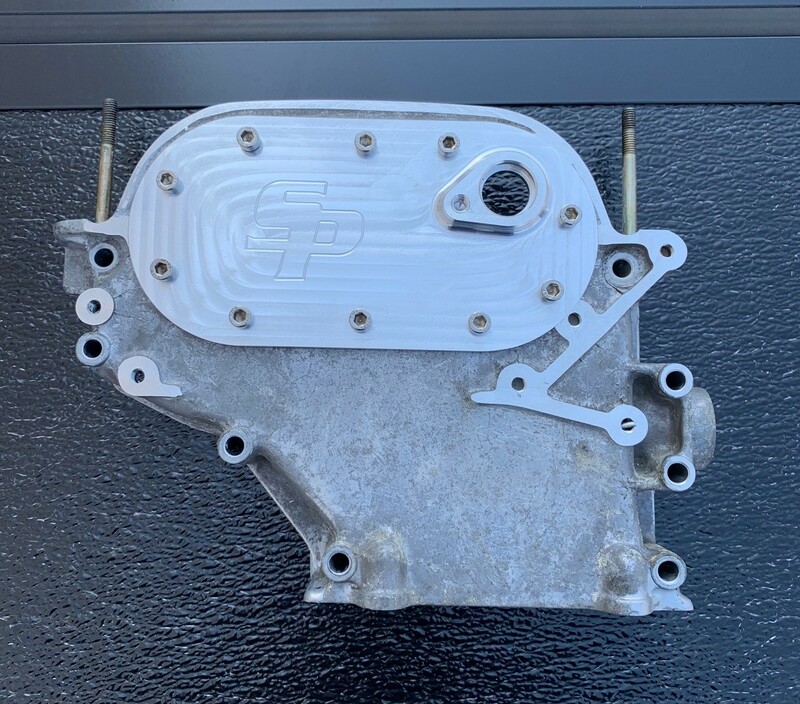 This Spturbo upper timing cover allows cam install and timing without removing. 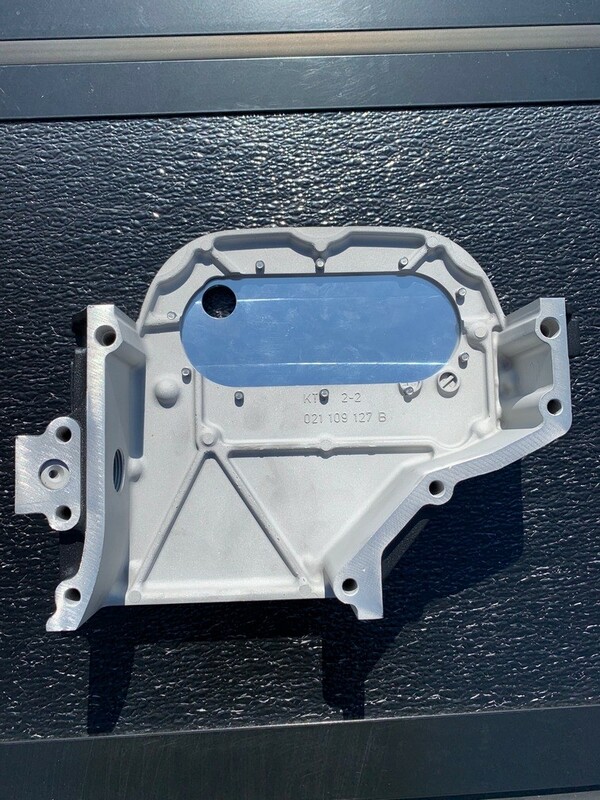 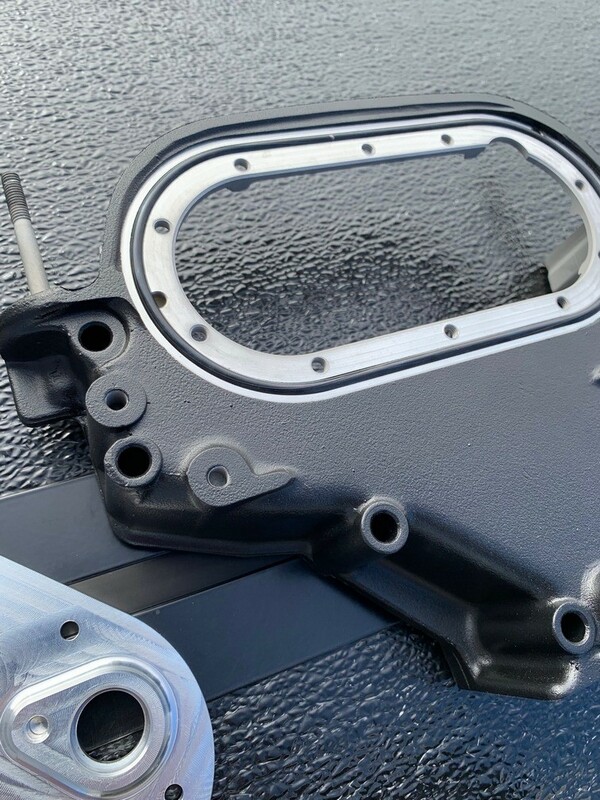 Starting with a oem upper cover is machined and powder coated. 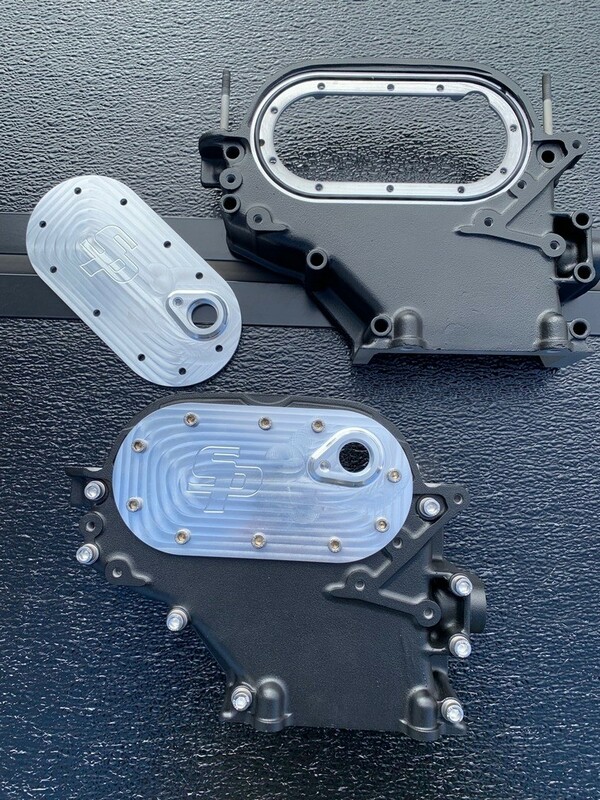 Billet CNC cover plate with internal oring seal. 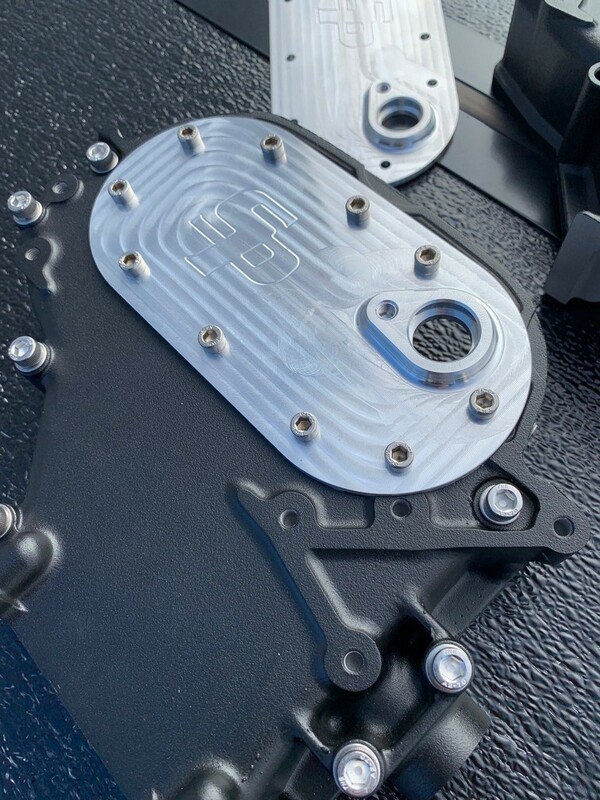 Comes with all new Stainless hardware to attach to engine.